Timing & You - Timing Is Everything! You can be an unknowing victim of cycles. Or you can rise above it, understand and use it to your great advantage. Learn about the man who became a Billionaire at the height of the 1929-1939 Great Depression and the Sovereign Debt Crisis 2.0 in Europe, Japan and U.S. 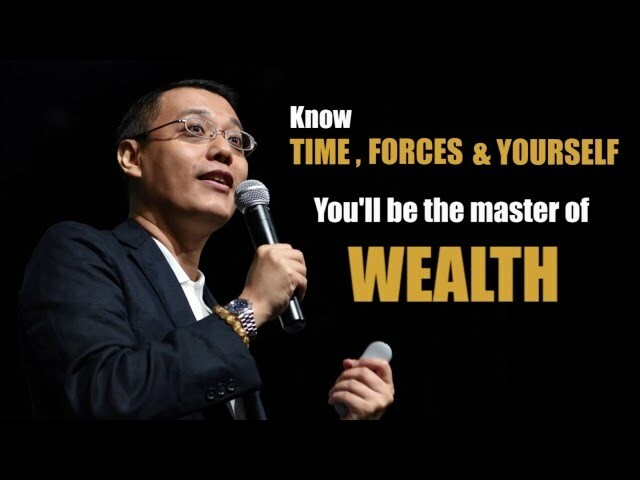 Tap into Derick Tan’s insight into how you can protect and grow your wealth in the Biggest wealth transfer for the next 5 years! Get instant access to your free copy now! Know FORCES & you'll be the master of Capital Flow. Know YOURSELF & you'll be the master of Men. You'll be the Master of Wealth! Get access to exclusive content, insight and analysis on the latest market trends specially written and curated for our members. Timing & You course brings the insight of smart money flow, and most importantly, how to prepare for the anticipated sovereign debt crisis. I leveraged on the cycle chart on top of TA and FA for my trading on equity market and commodities. It serves as a powerful edge to the trading. It’s definitely one of the best investments I have done to enrol in this course. 5-star is just an understatement! Thank you, Derick, for your cycle chart forecast on oil. I have made back the course fees at least 7 times from the oil chart you posted after deducted some losses from certain trade. Overall it is still a positive trade to do. What I believe here is that I believe following you and I take action from small to build the confidence in trading with info you shared and find the way that it matches and suit me along the period now and in future. Thank you! An engaging and mind stimulating course. It confirms the existence of cycle/timing and open my eyes to alternative investment/asset class. Well worth the time spent to learn about cycle analysis and how to benefit from it. I consider myself lucky to have attended the course early and witness how accurate Derick was in forecasting the timing of the lowest price of crude oil even before it hit. Then the crude oil dynamic cycle chart proved its accuracy again recently…I am surprised the cycle charts could be so accurate! Timing and Cycle Analysis seems to be that glue I was looking for! On top of that Derick comes across as a very approachable and down to earth person. T&Y course has set a foundation and giving me pointers to build upon. I had attended many seminars/conventions in my entire life, many are repetitive or similar but nothing like the contents in “Timing & You”. I’ve found trust & confidence in Derick … I don’t know why … probably his credentials, in-depth knowledge & trustworthy countenance. He has made his pot of gold & is still hitting. It helps me and my family to protect wealth and position myself to ride the wave and I am sure with Derick's guidance, I am able to profit enormously! Timing is Everything! Being able to foresee the market direction is crucial. Cycle Analysis knowledge learned here will serve as my GPS in the investment world. I am personally amazed by how accurate his cycle charts are especially on Oil and Gold. It only became clear to me after I attended Timing & You, conducted by Derick, that TIMING is everything. Now that I know how to read TIME, finally, I can say to myself that the search is over and the money is beginning to roll in!